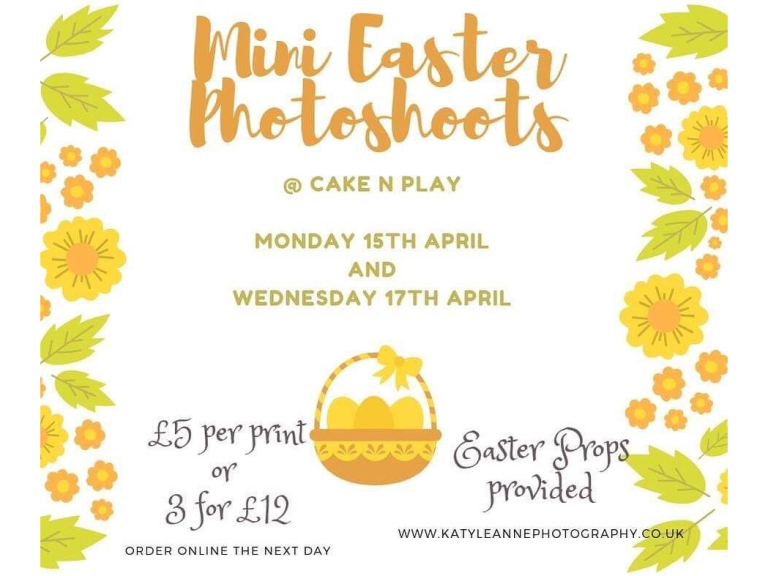 Ruby Doo are hosting Easter Photoshoots at Cake'N'Play on Monday 15th April and Wednesday 17th April. £5 per print or 3 for £12, you can order these online the next day. Easter props will be provided!